After cutting the wig some more and trying a different Make-Up style Im a bit more satisfied with Shirasu. But I think I won't wear him again soon. 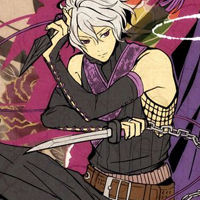 I recently finished my Kumo Tenka cosplay from Donten ni warau. 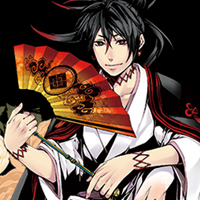 I really loved the character design, especially the black hair and black eyes and the beautiful kimono. 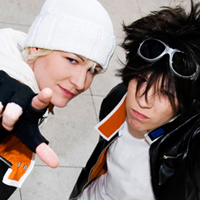 Air Gear - Ikki & Kazu The fascinating air of freedom hanging around "Air Gear" got us hooked and we had to cosplay the dream-team of Kogarasumaru! 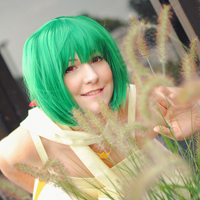 Macross Frontier - Ranka (yellow dress) Ranka-chan in her causal yellow dress! The pattern of this dress is so cute, it looks like a little circus tent.